Once again, C.T. 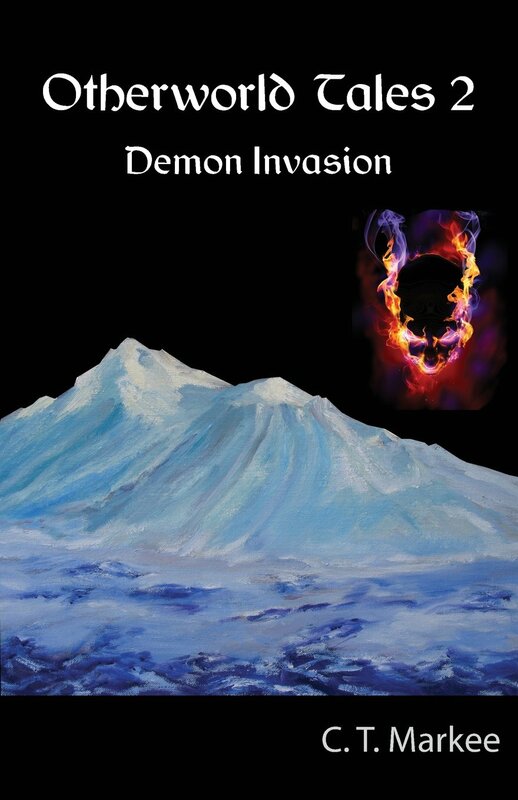 Markee delivers an action-packed story that appeals to pre-teen and teen boys with his book DEMON INVASION, second of the Otherworld Tales. While boys, especially, will enjoy this snowboarding adventure, girls will like it too for the loyalty portrayed by the main characters. On the steep slopes of Mt. Shasta, Irish and his buddy Streak, along with cousin Frost, slip into the icy otherworld when they search for their missing friend Huff. Bundle up for a ripping good read while they battle truly abominable demons. It’s really too bad that reading isn’t an Olympic sport. Just think of the possibilities….In the mean time, try Markee’s book. This entry was posted in authors, California Writers Club, Kids' stories, reading, Reviews and tagged book reviews, books, kids' stories, reading, writers. Bookmark the permalink. My 13 year old grandson enjoyed the book last Fall…and so did I! Thank you, Arletta! Didn’t this story just fly down the slopes of the imagination? “..fly down the slopes of the imagination…” is a beautiful and poetic image! Nicely done, Robin. Thanks again, Arletta. Will see you tomorrow. I got the pleasure of sitting next to Charles at the last RW meeting, and I kept eyeing his books. I think my 13 year old might like this too. I’ll have to buy a copy from him next time I see him. Charles’s books are PERFECT for 13 year old boys! Good choice!